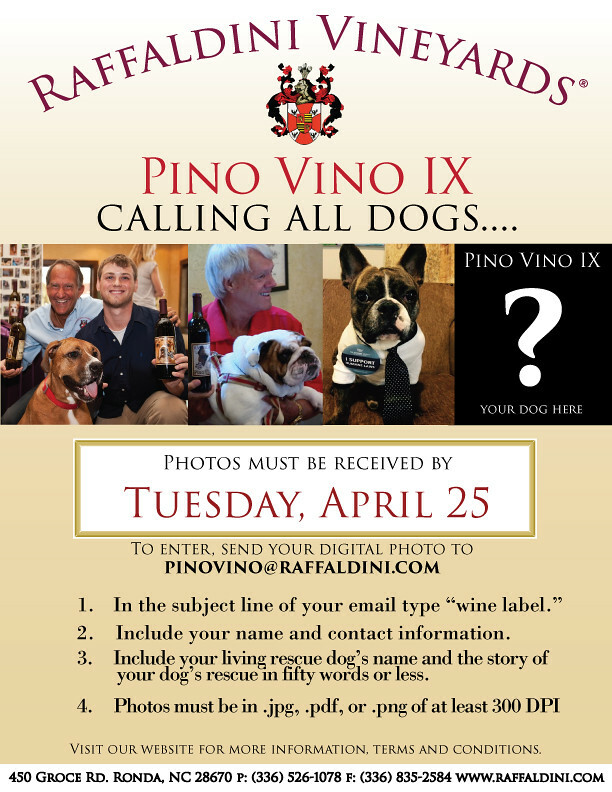 You are invited to join Owner Jay Raffaldini as he releases our 2015 Grande Riserva. 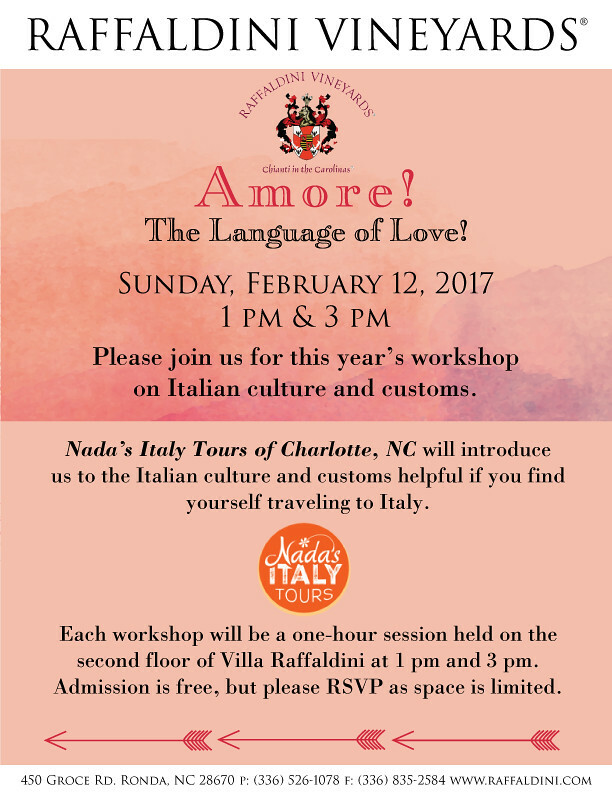 Each session consists of a blind tasting of the 2015 Grande Riserva and two other highly-acclaimed wines. 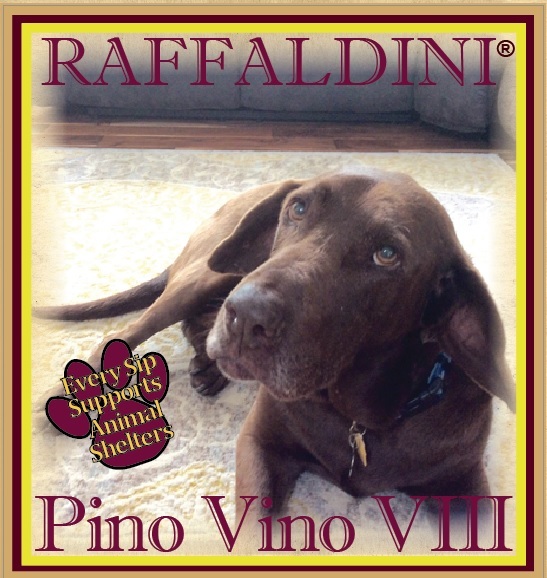 Taste for yourself how Raffaldini wines compare to the top-rated wines in the world! Carol along with holiday jazz favorites performed live by Triple P, enjoy light refreshments and some last-minute shopping. This is an event for the entire family! Bring your camera and snap a photo in front of the Raffaldini Christmas tree! This event is free; however, RSVPs are kindly requested. We are honored to be included among the most "Unimaginably Beautiful Places in NC" by Only in Our State. To read the entire article, click here. 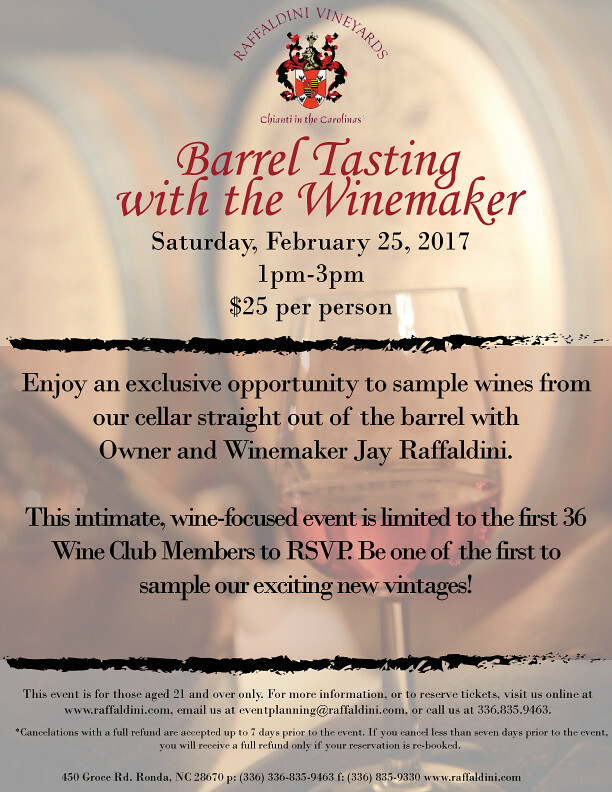 Join Vineyard Owner Jay Raffaldini for the next quarterly wine tasting dinner held at our beautiful Tuscan-style Villa Raffaldini. We have created the perfect menu to feature four seasonal food courses alongside four specially-chosen Raffaldini wines to embody the winter months. Only ten seats remaining! 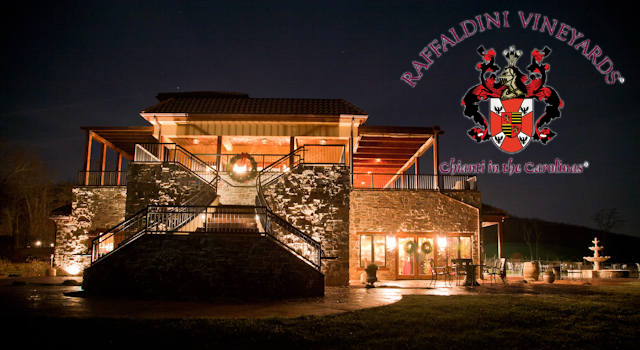 Thoughout December, drop off a new, unwrapped children's toy at Raffaldini Vineyards. All donations will be given to the children's home of Winston-Salem, NC. Join Owner and Winemaker Jay Raffaldini at the Umstead Hotel & Spa on Thursday, November 9th. The NC Fine Wines dinner will feature the wines of the eight vineyards representing the 2017 NC Fine Wines Case. Representatives from each of the vineyards will be there to talk about their wines and share in the meal with you. Only a few tickets remain for this very exclusive event. The four course meal will highlight the very best of North Carolina Fine Wines. 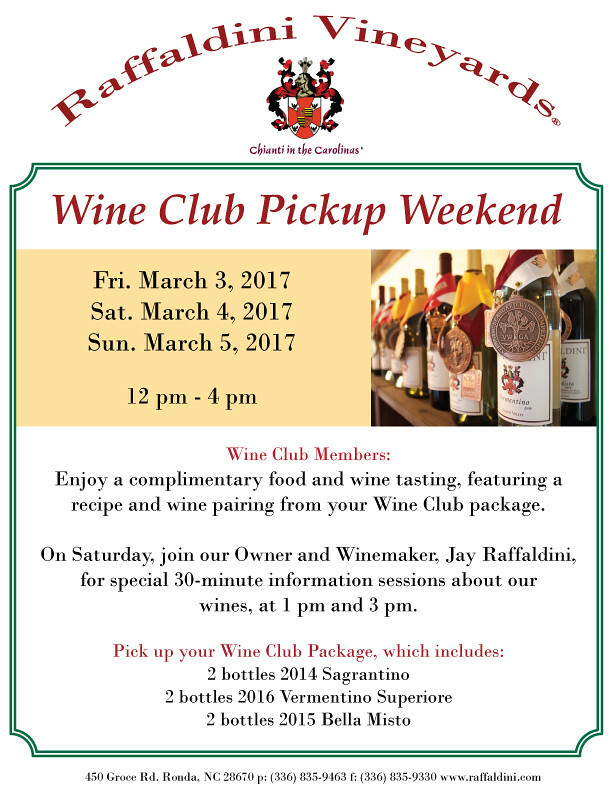 Enjoy one of these fresh food options at Raffaldini Vineyards this month! Give the gift of wine this holiday season! Browse our online shopping cart or speak with one of our friendly associates to assemble an unforgettable gift complete with our finest private label items, an array of authentic Italian foods, merchandise, or events to make the perfect holiday! We can also add a custom touch to your gift with personalized tags or wine labels. *One ticket per person. 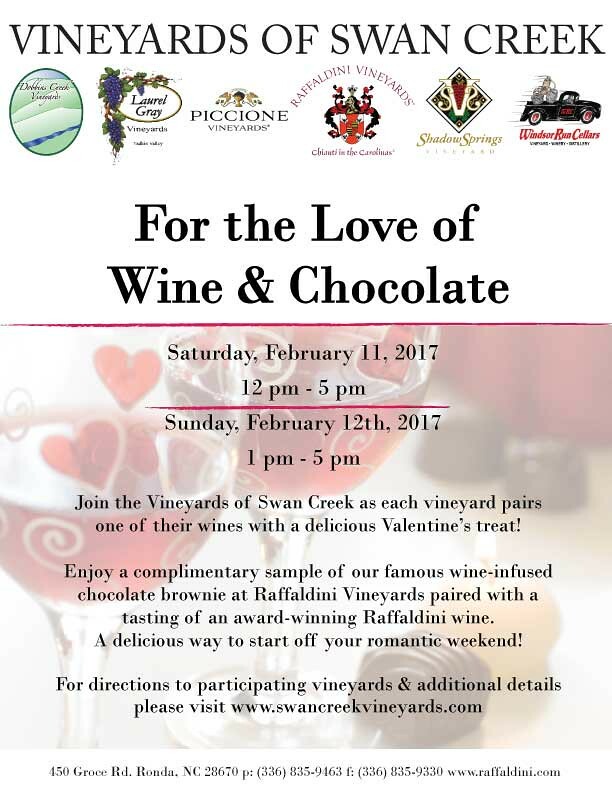 Tickets are available at any of the seven vineyards on the Swan Creek Wine Trail. 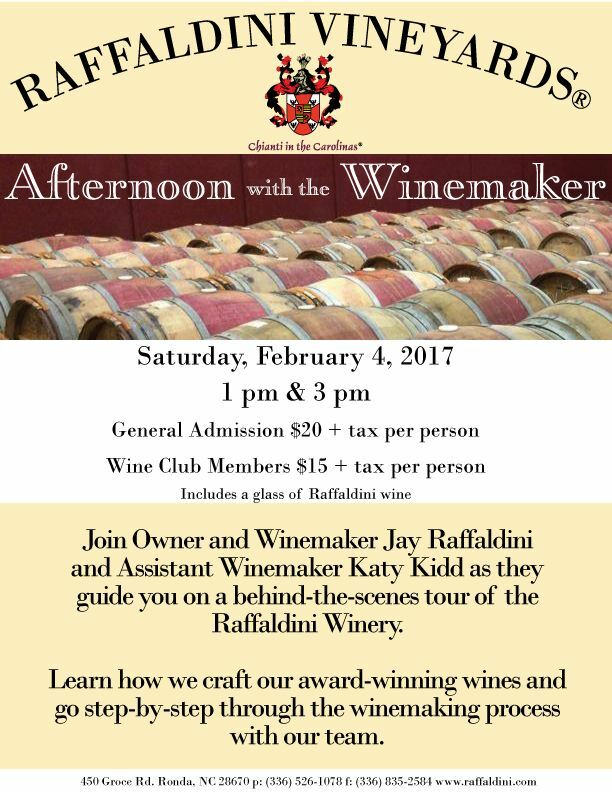 If you purchase your tickets and Riedel wine glass from Raffaldini Vineyards, Raffaldini Vineyards will be your first stop on the tour, and you can pick up your tickets when you arrive. After that you may choose your next destination. As a part of our regular commitment to our community, we completed our quarterly North Carolina Department of Transportation Adopt-a-Highway pickup this week. We gathered more than 15 55-gallon trash bags of roadside litter in the 3.5 mile stretch surrounding Raffaldini Vineyards in in Wilkes and Yadkin Counties. Every quarter, our staff works together to pick up litter and other garbage thrown on the roads.